The Rover sees a revolutionary performance from Robert Pattinson but as good as the young heart throb is, he still remains in the looming shadow of Guy Pearce in this gripping Australian drama from Animal Kingdom director David Michod. 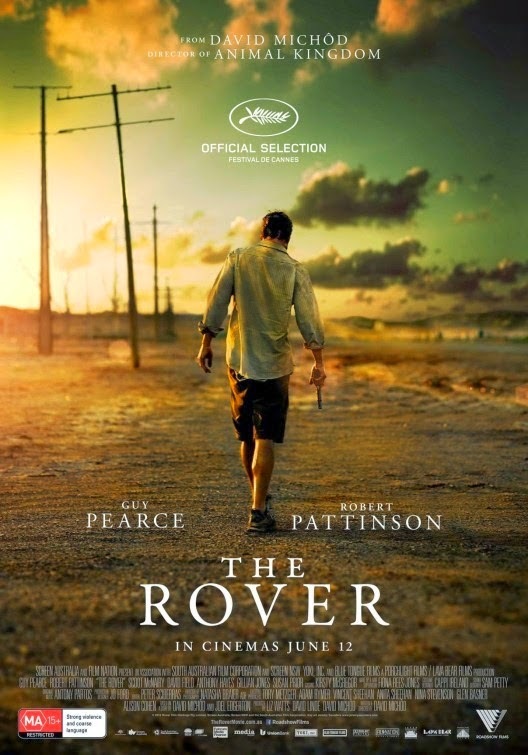 Set 10 years after what is simply revealed as 'the collapse', The Rover follows drifter Eric (Guy Pearce) who simply wants to get his car back after it is stolen by a gang of desperate criminals. After giving chase, confronting the men and losing them again, Eric comes across Rey (Robert Pattinson), the mentally challenged brother of the leader of the group. With Rey wanting to return to the brother who left him for dead, and Eric still out to retrieve his car, the two men form an unlikely alliance as they take a road trip through the barren landscape. Along the way, they meet an assortment of freakish characters who Eric either finds a use for, or (if they get in his way) brutally dispatches. Eric is a man on the edge, seemingly cold and psychotic but his dogged determination to get his car back and his evolving relationship with the naive and wounded Rey reveal something more to the man with a simple mission. Guy Pearce is sensational as the tormented, cold killer in The Rover. Whether being utterly still and just watching his prey or stepping swiftly and assuredly into action, Pearce is magnetic. Grizzled and unafraid of cold brutality or harsh words, you don't need to know his exact motivations (only revealed in the final frames) to find him impossible to take your eyes off. Pattinson impresses as the nice but dim Rey, all innocence before some of Eric's cruelty starts to rub off on him. He is lanky, endearing and with disgusting looking teeth, it is a highly welcome departure from Pattinson's previous roles. Michod, who dealt with the Melbourne criminal underbelly so memorably in Animal Kingdom creates a sweaty, grim, dusty and bleak world for his characters to travel through. Though 'the collapse' is never explained the world appears fully realised. Australia has attracted others from around the world, though resources are scarce, the land is barren and the locals are a selection of mean oddballs. As Eric questions the folks he meets, there aren't many that don't seem worth one of his bullets. 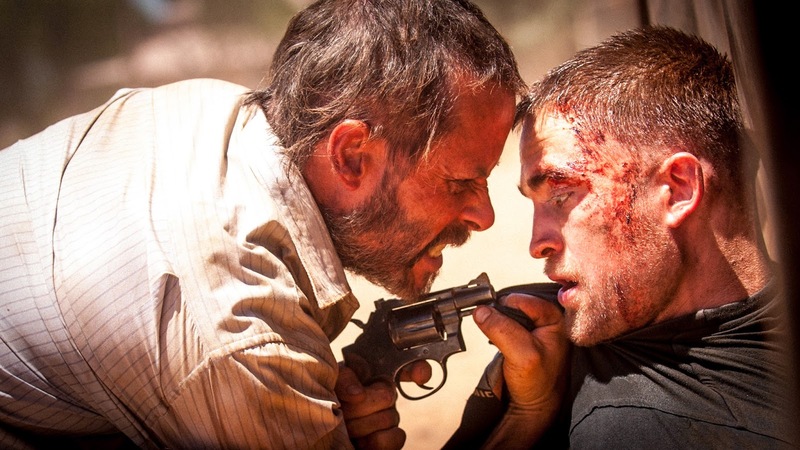 There are plenty of quick and shocking bursts of violence in The Rover and though the pace slows almost to a halt on occasion, it builds to an unexpectedly emotional resolution. The distorted, dirty score from Anthony Partos perfectly complements the gritty visuals and moral mystery of Pearce's anti-hero. Even with some lulls in the mid-section, The Rover opens and closes so strongly that it is a ride well worth taking.